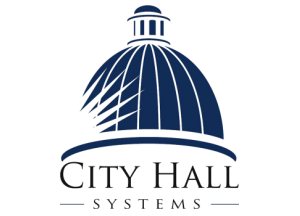 You have accessed the City Hall Systems, Inc. (CHS) municipal epayment web site (the Site). The purpose of the Site is to allow you to retrieve, view and pay your municipal bills, and by setting up a user account, access other Site features, such as, retrieving your billing and payment history, receiving email notifications, and scheduling payments. PLEASE REVIEW THESE TERMS AND CONDITIONS OF USE CAREFULLY. BY USING OR OTHERWISE ACCESSING THE SITE, YOU AGREE TO BE BOUND BY EACH OF THESE TERMS AND CONDITIONS OF USE. You are authorized to access and use the Site for your personal, noncommercial use, specifically to pay your bills accessed through the Site and to retrieve and view your bills and payment history. Your right to access and use of the Site will terminate if you breach any of these terms and conditions of use. You shall not (i) license, sell, or otherwise commercially exploit or redistribute the content of this Site; (ii) send or store unlawful, harmful or otherwise objectionable material on this Site; (iii) interfere with or disrupt the integrity or performance of the Site or its contents; or (iv) attempt to gain unauthorized access to the Site or its related systems or networks. All third parties accessing content on this Site for commercial use must be registered as a commercial user of this Site. You are responsible for all activity occurring in your user account and shall abide by all applicable laws in connection with your use of the Site, including those related to data privacy, international communications and the transmission of technical or personal data. You shall: (i) notify CHS immediately of any unauthorized use of any password or user account or any other known or suspected breach of security; (ii) report to CHS immediately any unauthorized copying or distribution of any content on this Site that is known or suspected by you; and (iii) not impersonate another user or provide false identity information to gain access to or use the Site. You are responsible for the accuracy and legality of the data you enter on the Site, including any information entered in your user account or to otherwise retrieve, view or pay a bill, and CHS shall not be responsible or liable for the deletion, correction, destruction, damage, loss, security, or failure to store any of your data. CHS alone (and its licensors, where applicable) shall own all right, title and interest, including all related intellectual property rights, including copyrights, in and to the Site, the content and any suggestions, ideas, enhancement requests, feedback, recommendations or other information provided by you or any other party relating to the Site. The CHS name, the CHS logo, and the product names associated with the Site are trademarks of CHS or third parties, and no right or license is granted to use them. During use of the Site, you may enter into correspondence with, purchase goods and/or services from, or participate in promotions of advertisers or sponsors showing their goods and/or services through the Site. Any such activity, and any terms, conditions, warranties or representations associated with such activity, is solely between you and the applicable third party. CHS and its licensors shall have no liability, obligation or responsibility for any such correspondence, purchase or promotion between you and any such third party. CHS does not endorse any sites on the Internet that are linked through the Site. CHS provides these links to you only as a matter of convenience, and in no event shall CHS or its licensors be responsible for any content, products, or other materials on or available from such sites. If you pay any of your bills through the Site, you will be charged a non-refundable site convenience fee. Depending on your method of payment, the convenience fee may be a flat or percentage-based fee. The convenience will is always be displayed to you prior to your completion of the payment. CHS reserves the right to modify its fees and to introduce new fees at any time. CHS reserves the right to charge you a fee of up to $50 per transaction for returned unpaid checks, insufficient funds, or chargebacks, payable within 30 days of the invoice date. Additionally, the municipality has the right under state law to charge you for returned unpaid checks, insufficient funds, or chargebacks. If you pay any of your bills through the Site, CHS will not issue a refund to you. If you believe that you are entitled to a refund of amounts you have paid through the Site, you will need to pursue your refund directly with the municipality that received your payment. Municipalities will only refund your payment if you were incorrectly charged the amounts that you paid. The site convenience fee is not refundable for any reason. CHS AND ITS LICENSORS MAKE NO REPRESENTATION, WARRANTY, OR GUARANTY AS TO THE RELIABILITY, TIMELINESS, QUALITY, SUITABILITY, TRUTH, AVAILABILITY, ACCURACY, SECURITY OR COMPLETENESS OF THE SITE OR ANY CONTENT. CHS AND ITS LICENSORS DO NOT REPRESENT OR WARRANT THAT (A) THE USE OF THE SITE WILL BE SECURE, TIMELY, UNINTERRUPTED OR ERROR- FREE OR OPERATE IN COMBINATION WITH ANY OTHER HARDWARE, SOFTWARE, SYSTEM OR CUSTOMER DATA, (B) THE SITE WILL MEET YOUR REQUIREMENTS OR EXPECTATIONS, (C) ANY STORED CUSTOMER DATA WILL BE ACCURATE OR RELIABLE, (D) THE QUALITY OF ANY PRODUCTS, SERVICES, INFORMATION, OR OTHER MATERIAL PURCHASED OR OBTAINED BY YOU THROUGH THE SITE WILL MEET YOUR REQUIREMENTS OR EXPECTATIONS, (E) ERRORS OR DEFECTS WILL BE CORRECTED, OR (F) THE SITE OR THE SERVER(S) THAT MAKE THE SITE AVAILABLE ARE FREE OF VIRUSES OR OTHER HARMFUL COMPONENTS. THE SITE AND ALL CONTENT IS PROVIDED TO YOU STRICTLY ON AN "AS IS" BASIS. ALL CONDITIONS, REPRESENTATIONS AND WARRANTIES, WHETHER EXPRESS, IMPLIED, STATUTORY OR OTHERWISE, INCLUDING, WITHOUT LIMITATION, ANY IMPLIED WARRANTY OF MERCHANTABILITY, FITNESS FOR A PARTICULAR PURPOSE, OR NON-INFRINGEMENT OF THIRD PARTY RIGHTS, ARE HEREBY DISCLAIMED TO THE MAXIMUM EXTENT PERMITTED BY APPLICABLE LAW BY CHS AND ITS LICENSORS. IN NO EVENT SHALL CHS AND/OR ITS LICENSORS BE LIABLE TO ANYONE FOR ANY INDIRECT, PUNITIVE, SPECIAL, EXEMPLARY, INCIDENTAL, CONSEQUENTIAL OR OTHER DAMAGES OF ANY TYPE OR KIND (INCLUDING SECURITY LEAKS OR LOSS OF CUSTOMER DATA, REVENUE, PROFITS, USE OR OTHER ECONOMIC ADVANTAGE) ARISING OUT OF, OR IN ANY WAY CONNECTED WITH THIS SITE, INCLUDING BUT NOT LIMITED TO THE USE OR INABILITY TO USE THE SITE, OR FOR ANY CONTENT OBTAINED FROM OR THROUGH THE SITE, ANY INTERRUPTION, INACCURACY, ERROR, SECURITY LEAK OR OMISSION, REGARDLESS OF CAUSE, EVEN IF THE PARTY FROM WHICH DAMAGES ARE BEING SOUGHT OR SUCH PARTY’S LICENSORS HAVE BEEN PREVIOUSLY ADVISED OF THE POSSIBILITY OF SUCH DAMAGES. CHS reserves the right to modify the terms and conditions of use at any time, effective upon posting of an updated version of the terms and conditions of use on the Site. You are responsible for regularly reviewing these terms and conditions of use. Continued use of the Site after any such changes shall constitute your consent to such changes. If you have questions regarding these terms and conditions of use or wish to obtain additional information, please send an e-mail to epay@cityhallsystems.com.